1. Change vs. more of the same. It looks like we got that one! 3. Don’t forget health care. This one doesn't seem so obvious. This is part of the right to live or how is it not part of the right to live? I'd add a forth one: Don't forget education!! Coming from a country were the educational principles of education being free (all the way including universities), mandatory and religious-free, it looks like there's a lot to accomplish there too. Especially when the world is changing and education is big time stagnated. 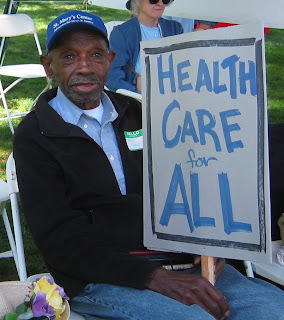 It is time for Health care for all. Don't forget health care!